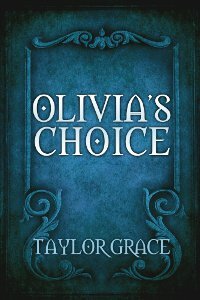 A fantastic review for Olivia’s Choice! What an awesome review! I’m over the moon. Want to read the entire thing? Here it is, so well written by Crystin Goodwin. Wow! I’m so grateful for this awesome review! Just so grateful. Another awesome review for Olivia’s Choice! Want to read the entire thing? Check it out here. A huge thanks to A Writer’s Life for Me for that awesome review! Thanks to some amazing help from D. Emery Bunn, I’ve just finished polishing Olivia’s Choice! So I thought: let’s have a surprise! So, I’ve uploaded the new spiffier Olivia’s Choice to Amazon and lowered the price to $ 0.99. So that’s a bit of good news. It’ll stay at that price, so don’t worry if you can’t get it today or tomorrow. It won’t go up in price. Here’s the link. Note: if you’re not into romance, no worries! Here’s a little something to make you smile. Another five star review for Olivia’s Choice! Olivia’s Choice got another five star review on Goodreads! I’m over the moon! So happy, I couldn’t stop smiling. Check it out here. Yeey! As well, I’m almost through the edits. D. Emery Bunn did an incredible job with my book and now it shines like a diamond. It’s unbelievable what good editing can do. When I’m done…I’ll have a surprise! (a good one, not the one where you’re at the dentist and have a cavity). By herself, with no help or hint from me. Nothing. I just opened up my mailbox this morning and almost had a heart attack. Winter Bayne, I can’t say thank you enough. I loved Mishka Jenkins‘ post this week on Marketing because I could relate so well to what she said. I too don’t like to market my book. In fact, I have to admit I haven’t actually done any real marketing for my book–except for the posts on this blog. I know for independent writers it’s a necessity but… I still don’t like it. It feels like shameless self-promotion. Mishka puts it so well. Infinitefreetime just published his first book. He promoted it using his unique brand of humour. His plugs came across as funny and endearing. I know if I tried that approach, I’d come across as icky and strange. Anything but funny. Mishka is a pretty smart lady. I bet she’ll come up with her own unique way. In the interim, I should probably figure out a way to start doing some promos. Or at least think about the entire thing in a more positive light. Maybe I should look at it as another aspect of the job of being an author. Any tips? Got any ideas on marketing that don’t make the author sound icky? I’m over the moon! The Romance Reviews just gave Olivia’s Choice a five star review! They even made the book their ‘Top Pick’! Wanna read it? It’s right here. I’ll be honest, I’m so happy I’m shaking. I had no idea how my book would do. None. The Romance Reviews is a very professional, respectable site and they review some heavy weights. I was pretty sure my book might not do so well. Five stars. Oh my goodness. I’m shaking. I have to add a huge thank you to Christine Blackthorn from The Romance Reviews for the amazing review and for choosing my book!